In ca. 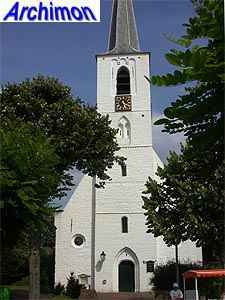 1300 a church was built in Noordwijkerhout. Until then there had only been a chapel elsewhere in the village. 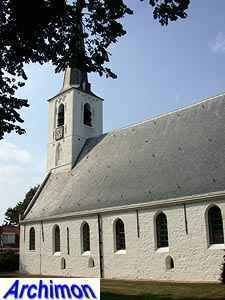 The church was in Romanesque style, a towerless building with a small square choir with a round apse. Only later a tower was added. 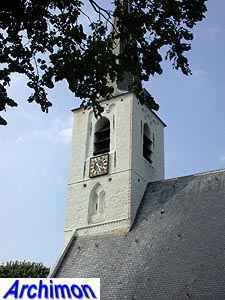 In 1508 the church was radically rebuilt. 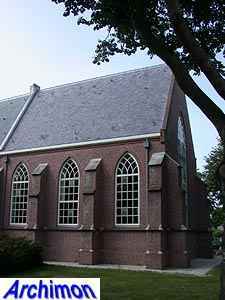 A rectangular choir in Gothic style was added, the tower was heightened, the roof on the tower was replaced by a spire, the walls of the nave as well as the roof were heightened and the small windows were enlarged, also in Gothic style. In ca. 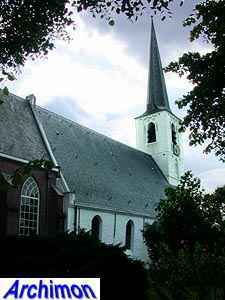 1573, during the 80-Years War, the church was destroyed by fire. 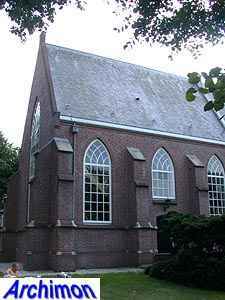 The protestants, who were now in charge, held their servics in the local school while the catholics were prohibited to practise their religion at all. 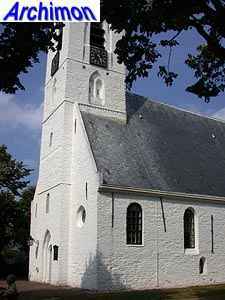 In 1620 the church was finally rebuilt, except for the choir, which remained a ruin until 1798, when it was demolished. 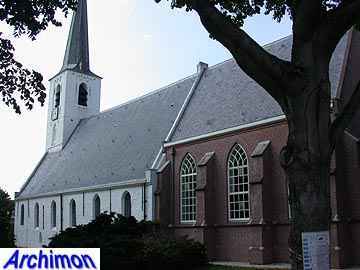 The church from that moment on was used by the protestants. In the early-19th century the catholics tried to get it back, but in 1813 their request for restitution was finally denied. 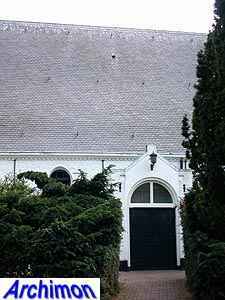 The church is locally known as the white church, for obvious reasons. The coat of white paint probably dates from the protestant period. During a restoration in 1974-1975 it was not removed. 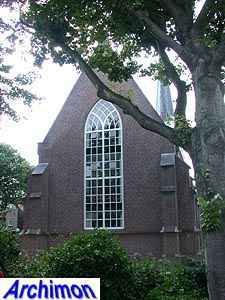 In 1986-1987 the church was extended with a reconstruction of the Gothic choir.